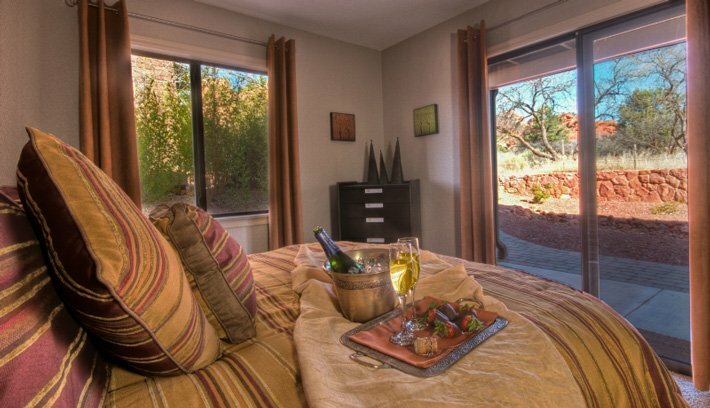 This downstairs suite is perfect for families or friends with a maximum of 5 people including all children & Infants. There is an extra $30 per night charge for the 5th person or extra bed (either a roll away bed or crib). This price will be added to your total when we receive the reservation. The roll away bed is only available in this suite when booked here directly through us. This suite has two bedrooms with queen size beds, two full bathrooms, a full kitchen with granite counter tops and stainless steel appliances, a full living room and dining area and a laundry room. 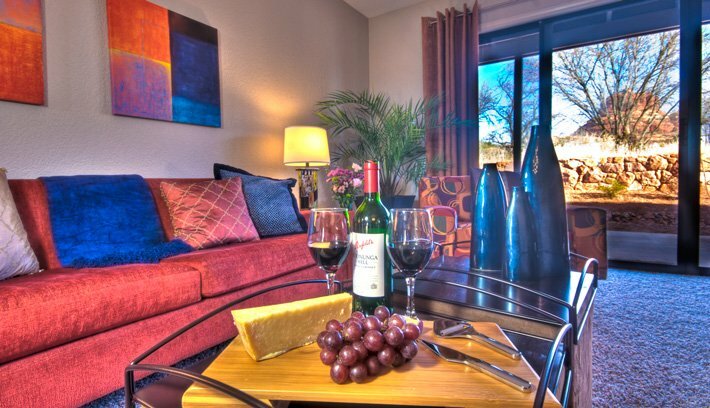 Relax on your patio with fantastic Red Rock Views! Click "Book Now" to see our Low Season and Last Minute rates!